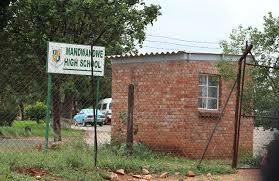 A LABORATORY at Mandwandwe High School in Nkulumane, Bulawayo, has been unused for over two years as staff and pupils are still “haunted” by the death of a science teacher after he allegedly inhaled poisonous fumes in the facility. Mr Trust Dube died in March 2016 although claims that his death was caused by poisonous gases were not proven. The Chronicle has established that the school laboratory has not been used since the teacher’s death. Teachers and pupils complain of itchiness and breathing problems once they get inside the lab, hence the decision to stop using it. A new laboratory has since been built. Sources at the school said the authorities are mooting destroying the laboratory as it has remained “haunted”. Bulawayo acting Provincial Education director Mrs Olicah Kaira confirmed the development. She said they can’t speculate on the teacher’s death because they didn’t get to see the post mortem report. “Everybody thinks if you get into that laboratory there is something that will affect you. They say they feel some itchiness but I’ve never encountered it. I think it’s all in the mind. They say they feel some itchiness, they have short breath,” she said. She said she has talked to the school authorities not to shun the laboratory to no avail. “I have spoken to the head, to the teachers and when you leave you think that they will have a change of mindset but alas nothing has materialised from the talks. As it is I’m thinking of engaging professional counsellors to go and talk to the teachers and pupils because I believe it’s psychological because they say whenever they get into that laboratory they feel itchy,” she said. Mrs Kaira said a number of stakeholders were engaged to “clean up” the laboratory since 2016. “After that gas leak a lot of work was done to make sure that all the experts get there. We have a science inspector Mrs Chikavhanga who assists us as a fundi in science. All the equipment in the laboratory has been cleaned as per advice by the specialist,” she said. Education notifying her of the development at the school. She said Datlabs, the National University of Science and Technology, EMA, Bulawayo City Council and the Department of Public Works have been to the school to assist with investigations. “They made recommendations that the laboratory be cleaned by professional chemical handlers since the water method had failed. So Nemchem was engaged and they conducted a test for halogens. They then cleaned and decontaminated the laboratory,” she said. Mrs Kaira said her efforts to engage the school had hit a brickwall.